95008-5 There is 1 product. Amaircare 94‐A‐1602‐UL Ultra VOC Annual Filter Kit is Amaircare original Filter. 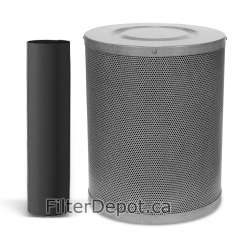 Amaircare 94‐A‐1602‐UL Ultra VOC Filter kit fits Amaircare air purifiers with 16" Easy Twist filter design.